This weekend, Los Angeles Lakers legend Kobe Bryant turns 36. It's hard to believe, isn't it? Kobe has been a stalwart presence in the NBA for nearly 18 years now, defining superstardom in the post-Jordan era in a way that only LeBron James has been able to match. Bryant is a dogged worker on an almost inhuman level. But whether it was his 81 point game, his five NBA championships, or his 16 All-Star appearances, Bryant has found multiple ways to impress his fans and pacify his critics since entering the league. In the process of becoming an NBA legend, Bryant has also gained the attention of rappers all across hip-hop, from Jay Z to Kanye West to Juicy J. Kobe is a metaphor for greatness; he's an emblem for success. If a rapper brings up Bryant's name in a song, you can almost be sure that it's being used to discuss balling, making money, or essentially just being a boss. In celebration of Kobe's birthday, we want to remember all the greatest moments in hip-hop when Kobe's name was immortalized in a verse. 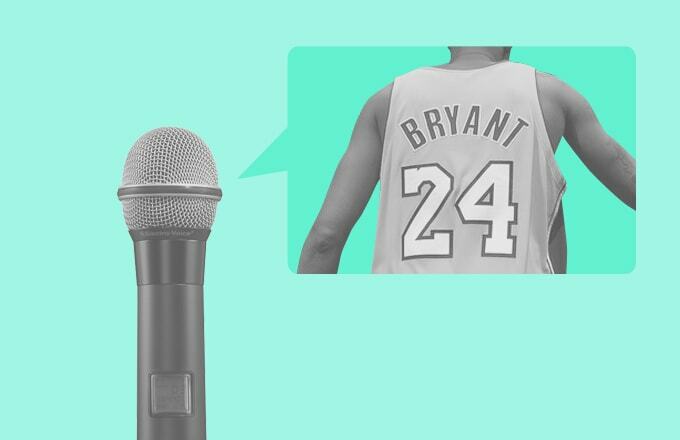 And in honor of his number, we chose the 24 Best Kobe Bryant References in Rap History, from worst to first. He'll always have one over Jordan in our book.